Now smaller and more elegant, the Ballon Bleu Flying Tourbillon is presented in a new 39 mm case, along with a brilliant blue flinqué enamel dial. 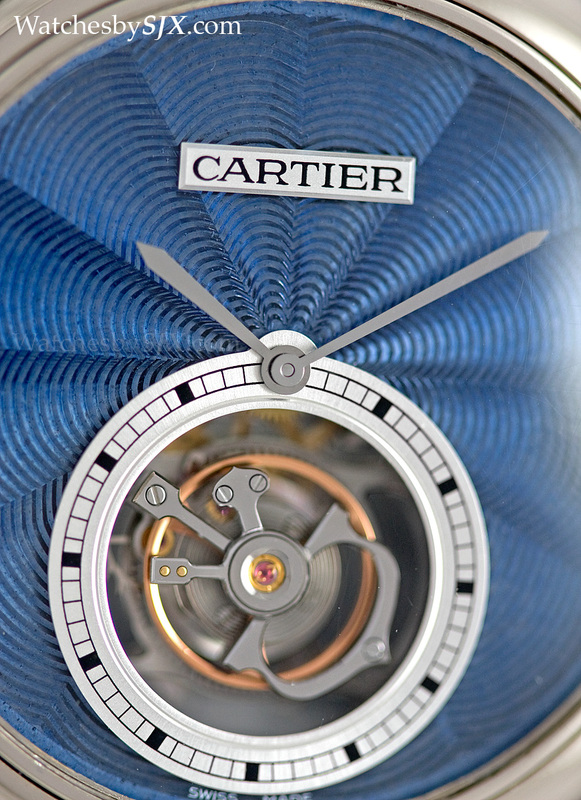 Originally available only in an oversized, 46 mm case the Ballon Bleu de Cartier Flying Tourbillon has been given more compact proportions. 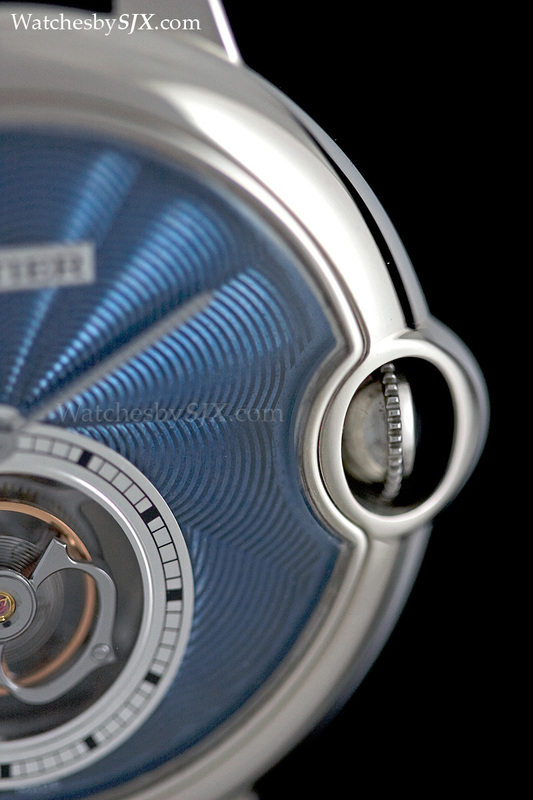 Now measuring 39 mm in diameter, the Ballon Bleu 39 Flying Tourbillon technically identical to its larger cousin, with the same 9452 MC movement inside. 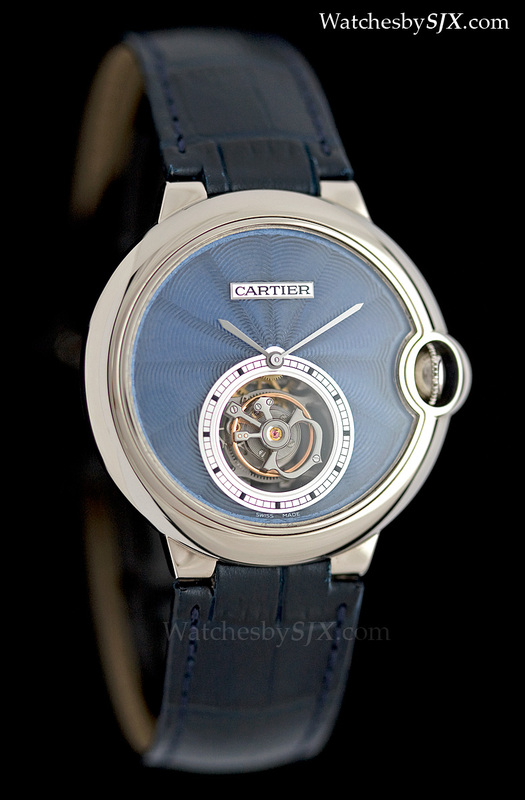 But beyond the size, the 39 mm tourbillon is special the white gold version is fitted with a blue flinqué enamel dial, a first for Cartier’s Fine Watchmaking line. 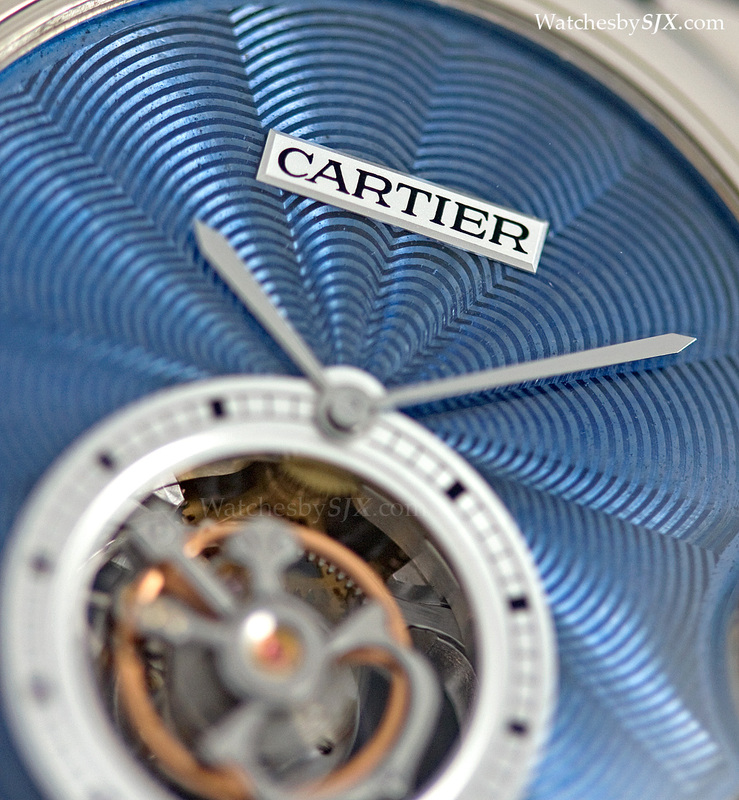 The blue enamel dial is a nod to Cartier’s early history, when flinqué enamel was used extensively to decorate clocks and objets d’art during the late nineteenth and early twentieth century, particularly when these were in vogue in pre-revolution Russia. Flinqué enamel is made by first decorating the metal dial base with guilloche, then covering it with enamel and firing it. The enamelling is repeated several times until the desired brilliant, translucent colour is achieved, after which the dial is then polished to give it a clear shine. 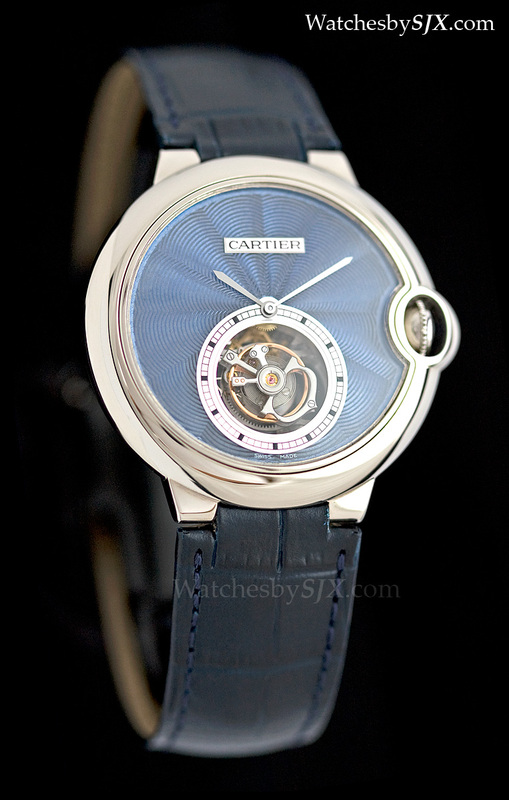 The Ballon Bleu 39 Flying Tourbillon is better proportioned than the 47 mm model. Here the tourbillon carriage sits midway between the dial and edge of the case, instead of being very close to the centre. 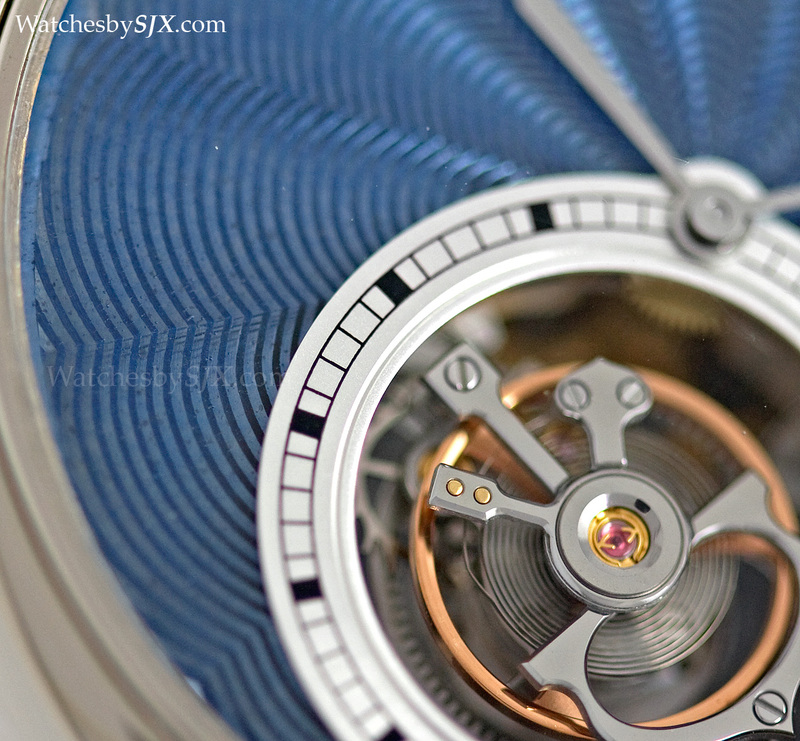 And the tourbillon seems larger and more prominent. 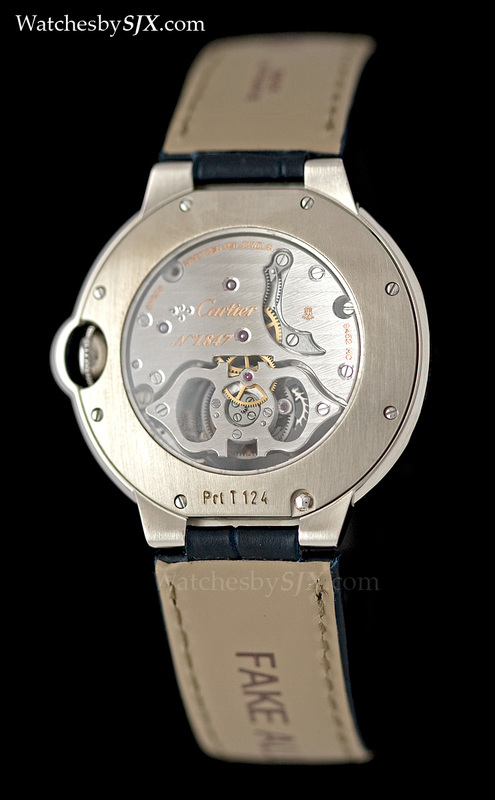 Now look much more appropriately sized in the smaller case, the 9452 MC movement is made in Geneva at Cartier’s workshops above its boutique on the Rue du Rhone, and it has the Geneva Seal. Limited to 100 numbered pieces, the Ballon Bleu 39 Flying Tourbillon in white gold with an enamel dial retails for €80,000 (~US$108,000). 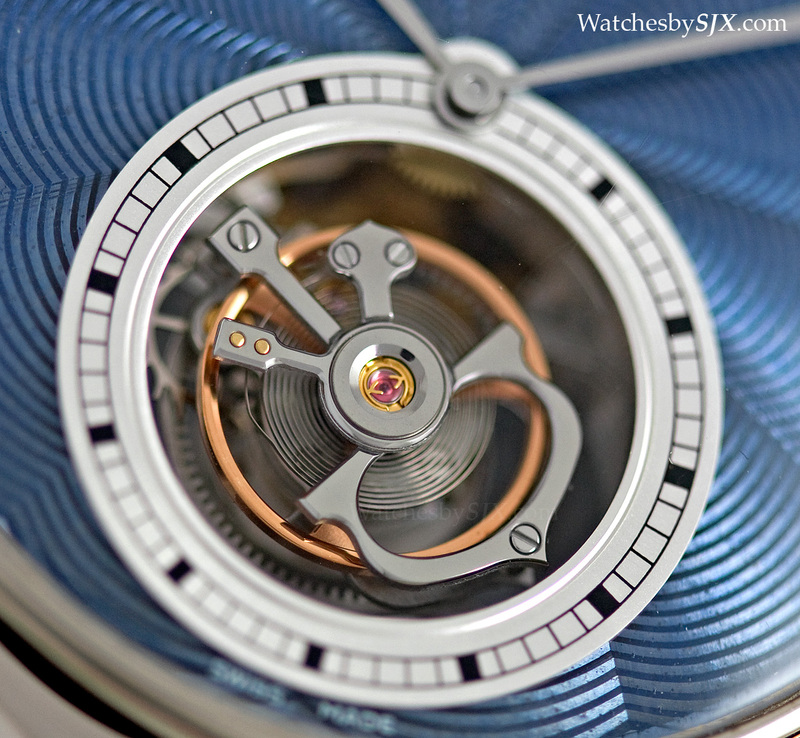 And the regular production version in pink gold retails for €68,000 (~US$92,100). A third ladies’ model in white gold with diamonds and a pink strap is €92,000 (~US$125,000).